Laptop screen not working? Does your hard drive seem to make a lot of clicking noises? 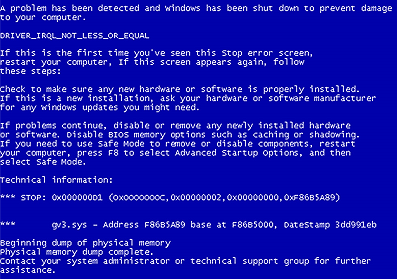 Are you getting random blue screens? Does your system not want to boot? Maybe your internet connection seems to have a mind of it's own and works only when it wants to. Maybe your system seems overally sluggish ever since you installed something, or seems sluggish for no reason at all. Trying to find what is causing such problems can be very time consuming and frustrating for the average user. You may change one thing only to find it wasn't the problem and you created yet another problem in the process. Wasted time equals wasted productivity and in many cases money. We repair all makes and models. We offer Windows and Apple desktop and laptop diagnostics, service & repairs. And anything else, including general Android and Iphone support. NC Computer Tech can do all of the troublshooting for you in a timely manner. Our certified professionals will quickly isolate the problem and fix it. We will also advise you if the cost of fixing the issue is not sensible due to the age of the computer or the severity of the issue. In this situtation we can retrieve your data and recommend the most cost effective solution for a new computer. Why get a headache trying to research answers on the internet hour on end when you can leave it to us?